Students at Georgetown University have approved a measure to mandate a $27.20 per semester fee to create a fund that would benefit the descendants of the 272 slaves the college sold in 1838 to pay off the Georgetown Jesuits' debt, a move which saved the university from financial ruin, according to ABC News. The measure, which still must be approved by the university, passed with 66% voting yes. The slaves were sold in 1838 for $17,000 (approximately $465,000 adjusted for inflation). Todd Olson, vice president for student affairs at Georgetown University, in a statement issued after the vote, lauded the students' efforts saying "university values the engagement of our students and appreciates that 3,845 students made their voices heard in yesterday’s election. Our students are contributing to an important national conversation and we share their commitment to addressing Georgetown’s history with slavery." 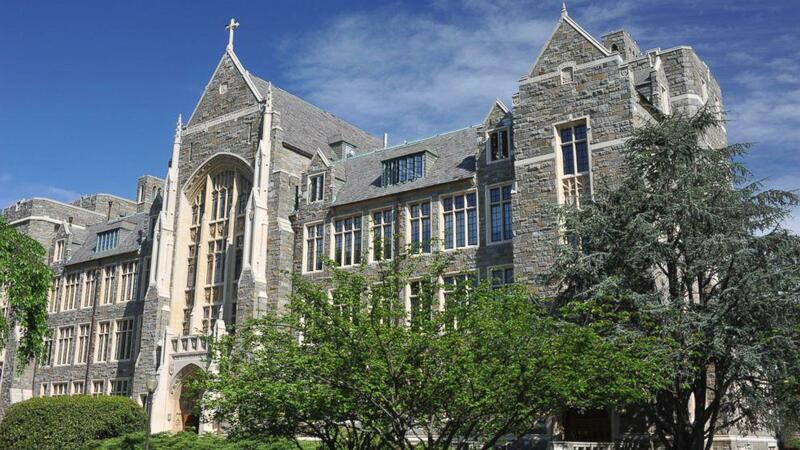 "The Jesuits sold my family and 40 other families so you could be here," said Georgetown student Melisande Short-Colomb during a town hall to discuss the proposal last week. Short-Colomb is attending Georgetown under an admissions policy which counts descendants of the 272 slaves as "legacy" students, according to the report. Also included in that group is Elizabeth Thomas - a descendant of slaves Sam and Betsy Harris who were sold by the university in 1838. Thomas will receive her master's degree in May and is currently a desk assistant at ABC News in Washington. 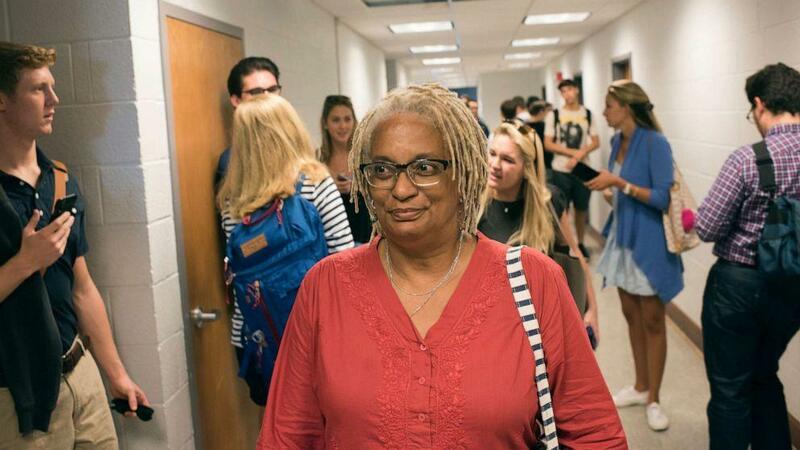 After news of Georgetown's slave sale surfaced, the university apologized. In April 2017, the school rededicated two buildings named after two former Jesuit University presidents who facilitated the sale. Other Georgetown students feel that current generations should not be responsible for paying for the sins of the past -- a stance that's come up in previous political debates. "It's unjust to compel 7,000-plus people to pay for the university's historical sins," said sophomore Haley Grande, who is in student leadership. "There is an obligation for Georgetown to reconcile its sins, and that obligation falls squarely on the institution." The Georgetown reparations measure comes amid a national conversation on reparations ahead of the 2020 election - with candidate Sen. Cory Booker introducing a Senate bill this week that would study the possibility of reparations for descendants of slaves. The New Jersey Democrat said on Monday that "this bill is a way of addressing head-on the persistence of racism, white supremacy, and implicit racial bias in our country. It will bring together the best minds to study the issue and propose solutions that will finally begin to right the economic scales of past harms and make sure we are a country where all dignity and humanity is affirmed." Booker's bill is companion legislation to a January bill introduced in the House of Representatives by Rep. Sheila Jackson Lee (D-TX) which would establish a commission to explore the impact of slavery and continued discrimination against black Americans. The bill - similar to legislation introduced 30 years ago by then-Rep. John Conyers of Michigan - would make recommendations on reparation proposals. "Since slavery in this country, we have had overt policies fueled by white supremacy and racism that have oppressed African-Americans economically for generations," Booker said, adding "Many of our bedrock domestic policies that have ushered millions of Americans into the middle class have systematically excluded blacks through practices like GI Bill discrimination and redlining." Also backing reparations at at some level are Democratic 2020 contenders Sen. Kamala Harris (D-CA), Sen. Elizabeth Warren (D-MA), Sen. Bernie Sanders (I-VT), Rep. Beto O'Rourke (D-TX), Rep. Tulsi Gabbard (D-HI), businessman Andrew Yang and Indiana Mayor Pete Buttigieg and former San Antonio Mayor Julian Castro who was President Obama's housing secretary. Harris on NPR recently suggested that we study the impact of "the effects of generations of discrimination and institutional racism and determine what can be done, in terms of intervention, to correct course." The topic of reparations has been discussed since the end of the Civil War - with some of the earliest proposals from 150 years ago suggesting that Confederate-owned land should be confiscated and divided up to provide each slave family with 40 acres and a mule. "Here we are in 2019 talking about it again. It is a sore spot for this nation," said NAACP President Derrick Johnson, who supports reparations. "It is something that we must address, so we can get past this moment in time in a way in which the legacy of slavery, the legacy of segregation, the legacy of institutional racism can once in for all be done away with and we can all prosper as a nation as one whole community."